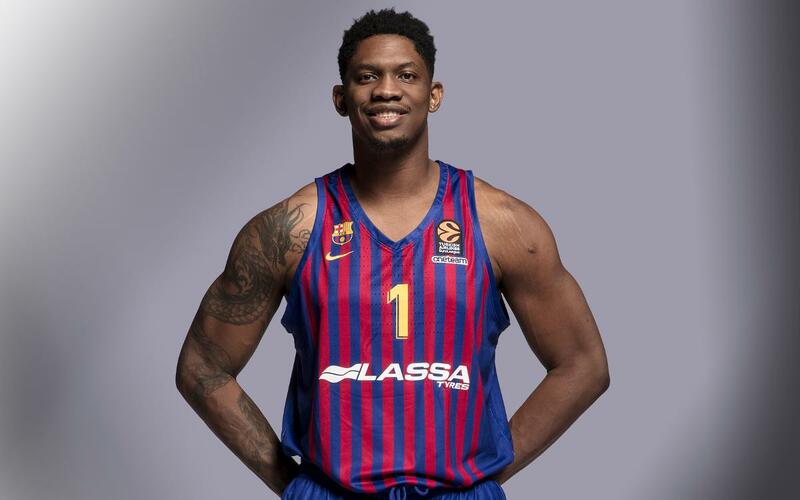 Born on 7 December 1989, Kevin Séraphin came to FC Barcelona Lassa after a long spell playing in the NBA. The center began his career in France with Cholet before five seasons with the Washington Wizards, one with the New York Knicks and one with the Indiana Pacers. Séraphin also has experience of playing in the ACB league with Baskonia which came in the 2011/12 season during the NBA ‘lockout’. The Frenchman played 423 games in the North American league with an average of 15.2 minutes per game, 5.9 points and 3.2 rebounds. In the ACB league he featured in 10 games for Baskonia, averaging eight points and three rebounds per match. With the French national side he won a silver medal at the European Championships in Lithuania in 2011. Séraphin is a physical center, imposing and battle hardened. Highly active in the paint, he is capable of spectacular blocks and dunks under the basket as well as being an excellent medium range shooter. Real Madrid 93 – 94 Barça Lassa: Copa del Rey Champions!